The Indian Government is set to make ABS mandatory for two-wheelers from 2018, Bosch India say they welcome the government’s decisionThe Indian government had already announced that they plan to make ABS mandatory for two-wheelers from 2017 however, recently the government have said that ABS will be mandatory from 2018. This new legislation is a welcome change and it shows that the government is actually concerned about the safety of two-wheeler users in the country. According to a government report, issued in 2012, there are around 36,000 fatalities in the country involving two-wheelers. With the introduction of ABS, the government hopes to reduce this number drastically. Bosch, the global technology giant, will play a big role in providing solutions to two-wheeler manufacturers in India who will have to equip their bikes and scooters with ABS from 2018. Bosch already have their latest generation ABS unit in place called the ABS10, which is 30 percent lighter than the current generation ABS9 unit. Bosch have developed this unit especially for countries like India, where cost plays a big role. 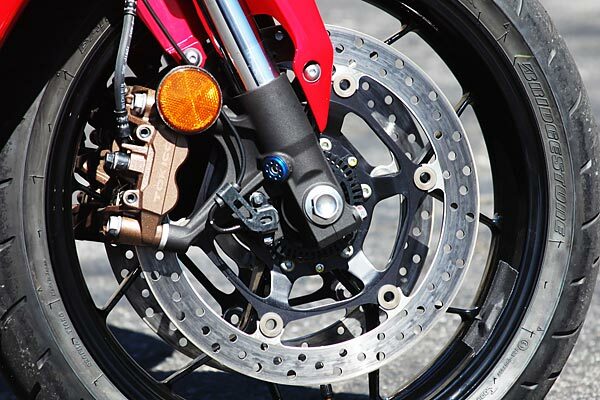 According to the new mandate, two-wheelers above 125 cc will have to be fitted with ABS and anything below or equal to 125 cc, will have to either opt for ABS or CBS (combined braking system). Which basically means that most of the scooters and small capacity commuter motorcycles in India will have the option of being fitted with ABS or CBS and every other two-wheeler, above 125 cc, will have to have ABS as standard fitment. Globally, the European Union have already made ABS for two-wheelers mandatory and other countries like Brazil and Japan are also planning to introduce the same very soon. This new mandate comes as good news for rider safety however, the addition of an ABS unit also adds a fair bit to the overall price of the product, which the manufacturers will have to pass on to the customers. However, paying a little extra for something that can be life-saving doesn’t seem like a bad deal.